The Handel and Haydn Young Women’s Chamber Choir performed on Show 328 in Boston, MA, on October 16, 2016. This vocal ensemble is an advanced chamber choir for young women of approximately twenty voices and is lead by Alyson Greer. It made its debut performance during the 2013 – 2014 season. In 2013, the Young Women’s Chamber Choir performed with the Young Men’s Chorus alongside the H+H Chorus and Period Instrument Orchestra in Vivaldi’s Gloria at Symphony Hall. 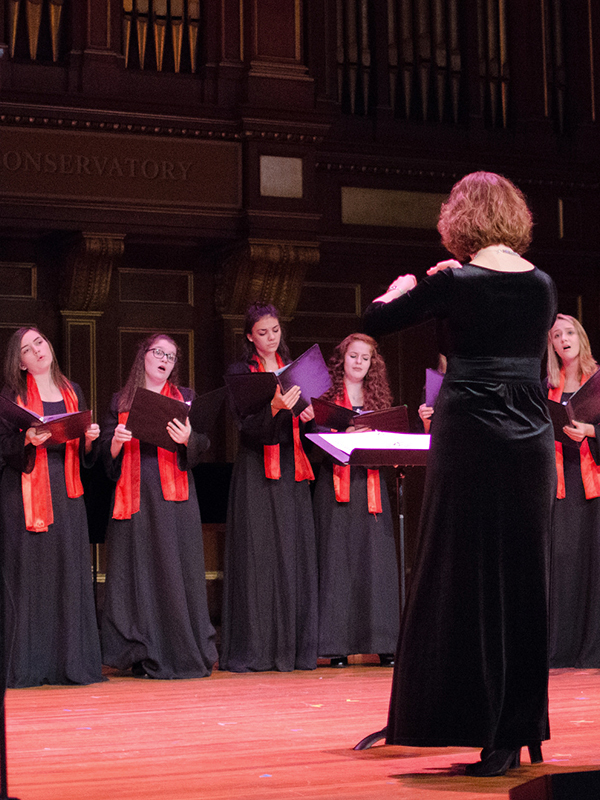 During H+H’s Bicentennial season, the Young Women’s Chamber Choir returned to Symphony Hall to perform in the Baroque Fireworks concert, and J.S. Bach’s St. Matthew Passion.